Following a thirty year career as a military and commercial pilot, Koerner Rombauer and his wife Joan began their search down the California coast, looking for a small-town, agricultural environment to move their family. 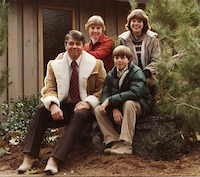 When they eventually found their way to the hillside community of St. Helena in 1972, they arrived to a Napa Valley that was on the cusp of a monumental transition in modern day winemaking; four years before the notorious Judgement of Paris, and two more behind the founding of Robert Parker’s Wine Advocate. Napa’s wine industry was already developing - not only in growing numbers, but in viticulture practices and cellar techniques, including the arrival of French oak and the first single vineyard designated wines. 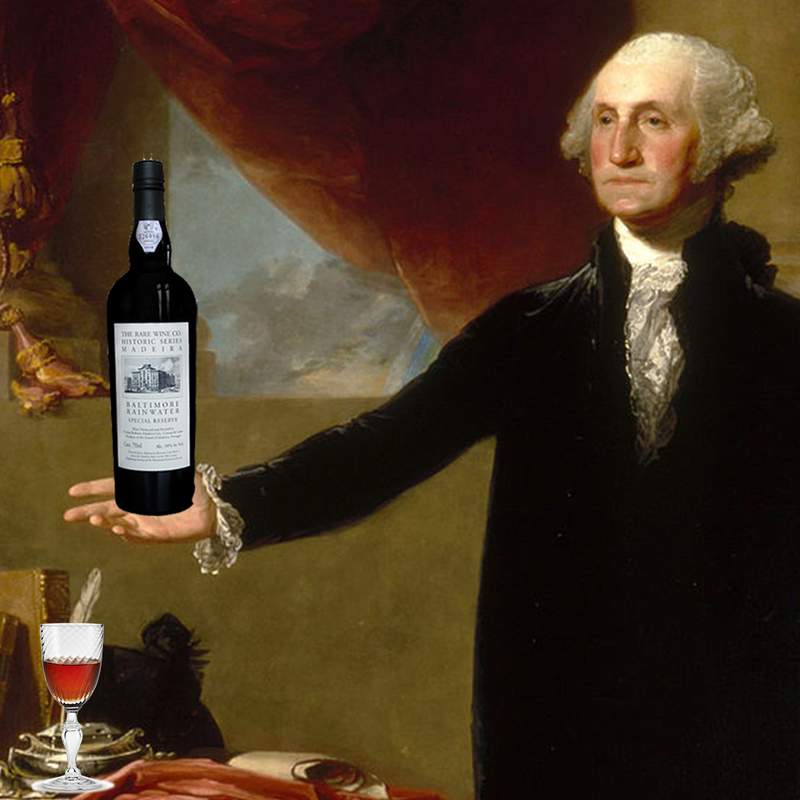 Local wineries were unknowingly gearing up for what would be a radical shift in the region’s international accolade, and the Rombauers arrived more than ready to try their luck. After moving to Napa, Koerner and Joan quickly made friends with the local wine community. Looking to learn more about the business of growing grapes, the new Californian couple became partners with the Conn Creek Winery in 1976, soon applying this newfound knowledge to their own project in 1980. The grapes of Rombauer’s inaugural vintage were sourced from Stag’s Leap Wine cellars, where Joan would eventually become the National Sales Director, and made in both the cellars of Shafer Vineyards and Koerner’s own garage. This collaborative story of Rombauer Vineyard’s first vintage remained an important principle within the winery’s future. As Koerner and Joan’s own brand grew during the 1980s, they did so alongside the greater Napa Valley winemaking community. 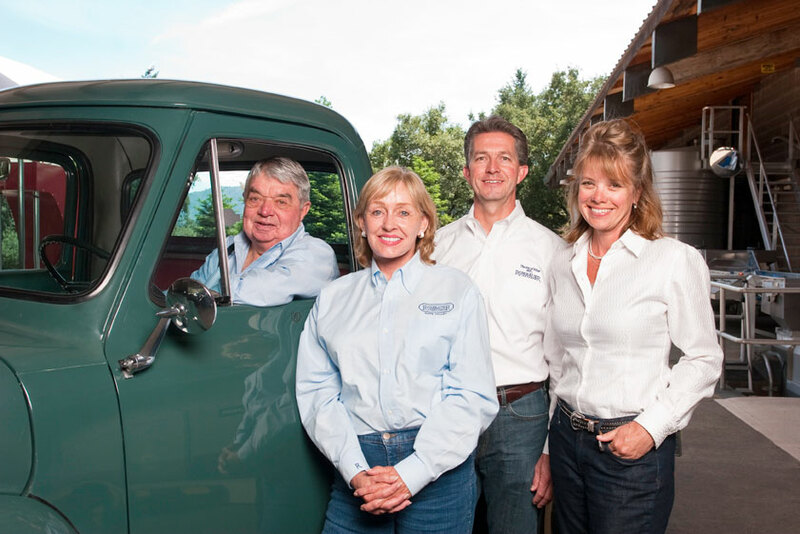 When the Rombauer’s broke ground for their own winery in 1982, they built for a capacity of 50,000 cases, tenfold of their own production at the time. Over the following decades, their winery served as an incubator for local, up-and-coming Napa Valley winemakers including Duckhorn, Solitude, Etude and Opus. 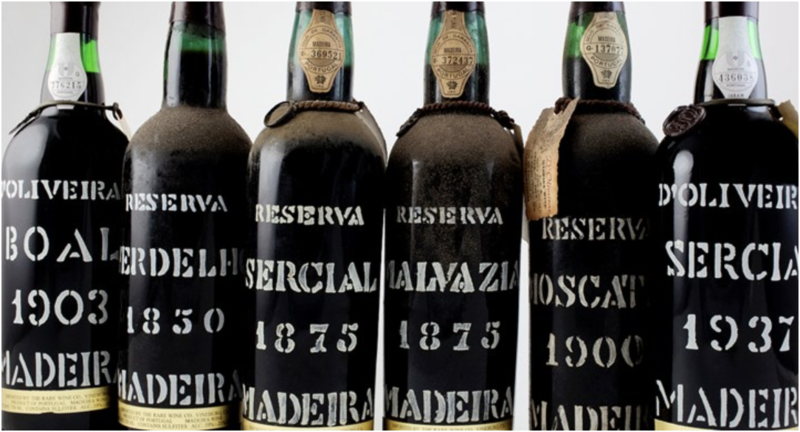 Over the next few decades, Rombauer continued to grow, eventually becoming the pillar in Napa Valley luxury wine that we know the brand as today. During the 1990s, Rombauer made its way to the short lists of superior wines with their Chardonnay leading the way. 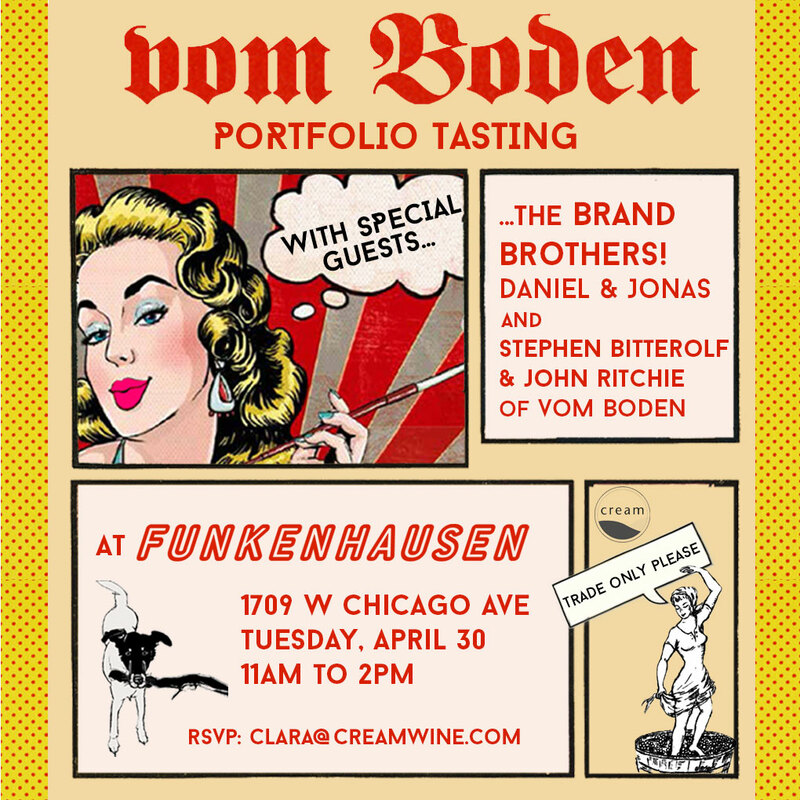 Following the untimely death of Joan in 2002, and Koerner this past May (2018), Rombauer has remained a multi-generation, family owned winery. In the past decade, Rombauer Vineyards has found themselves again at the forefront of the California wine industry, this time through their large investment in cutting edge sustainable practices. All cardboard, plastic and glass is recycled, and all green waste generated from the vineyards and winery is composted and used as a natural fertilizer, returning essential nutrients to the soils. 70% of the estate’s energy is provided by solar power, and water monitoring technology, including neutron probes and double dripper irrigation lines, have proven successful in decreasing water use and increasing efficiency. Brooks Wines in Amity, Oregon is the living legacy of Jimi Brooks - a Portland native who fell in love with winemaking while working a harvest in Beaujolais, eventually making his way back to the Pacific Northwest to start his own project. With a reverence for the land and vines, Jimi became a path-breaker in biodynamic and organic viticulture, showing the excellence of terroir in Oregon’s Pinot Noir and Riesling production. When Jimi suddenly passed away in 2004, he left behind Brooks to his young son Pascal, who is now the sole owner of the winery, and his sister Janie Brooks Heuck, who has since volunteered to manage Brooks Wines while Pascal finishes school. Having graduated from the University of Arizona with a degree in accounting, Janie had no intention of working in the wine industry. After receiving her degree, Janie spent the following decade building a career within the healthcare industry, a trajectory that was suddenly changed upon her brother’s death. 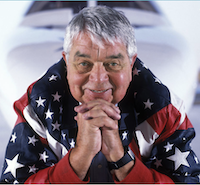 Galvanized by keeping the spirit of his legacy alive, Janie quickly assumed responsibility for the business operations of Brooks. 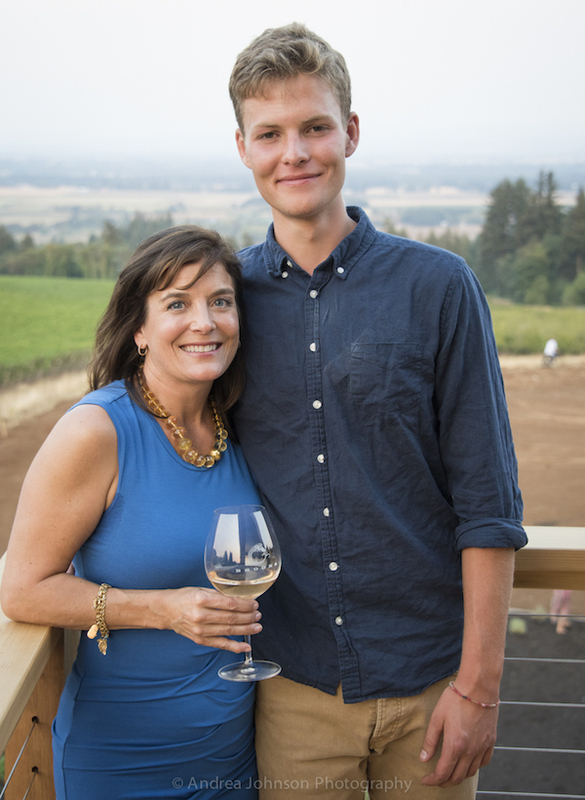 Over the following years, Janie involved herself within the greater Oregon vintner community, learning as much as she could about the business of making and selling wine. Despite a lack of tenure in the field, as the General Manager, Janie has continued to successfully keep the spirit of Brooks in line with Jimi’s vision, while also meeting new market demands. Still sourcing some of their fruit from original vineyards, along with staying close with original winemaking styles, Brook’s Wines has expanded production from 2,500 cases in 2004 to more than 12,000 today. 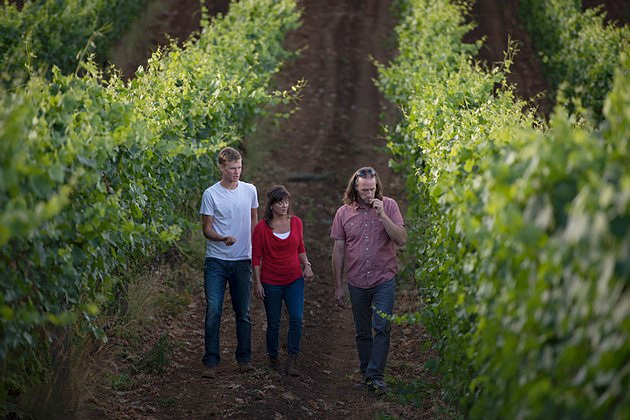 Janie and Pascal have also sought to maintain the winery’s emphasis on sustainable agriculture. Brooks was awarded official Biodynamic certification from Demeter in 2008, and belongs to the Deep Roots Coalition in Oregon, which supports sourcing from only dry farmed vineyard sites. This past January, Brooks announced their partnership with 1% For The Planet, donating 1% of their gross profit to a qualifying not for profit. Both Pascal and Janie remain steadily guided by the legacies that Jimi left: his strong commitment to organic and biodynamic farming in the vineyards, gentle approach to winemaking, excitement for future harvests and endlessly promoting how beautifully Pinot Noir and Riesling can be grown and produced in Oregon. Smack dab in the middle of the male dominated tequila world is French-born Sophie Decobecq - the owner and master distiller of Calle 23. Looking to study fermentation in Mexico while pursuing a dual PhD in biochemistry and engineering in her native France, Sophie contacted the President of the Polytechnics Institute of Mexico City - inadvertently creating what would later become an official international exchange program. 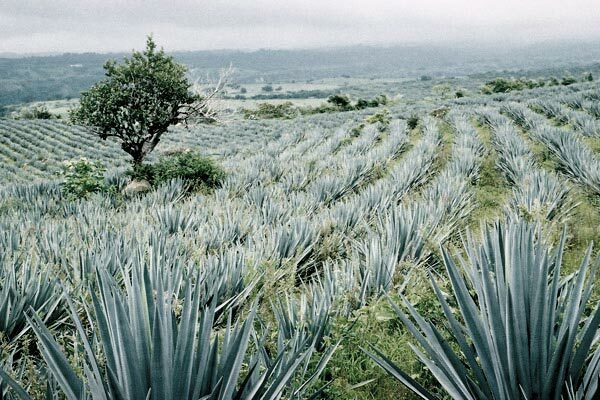 During these first 7 months in Mexico City, Sophie visited distilleries in Guadalajara and Tequila throughout the Mexican countryside, developing a passion for the region, the people and the tequila spirit. 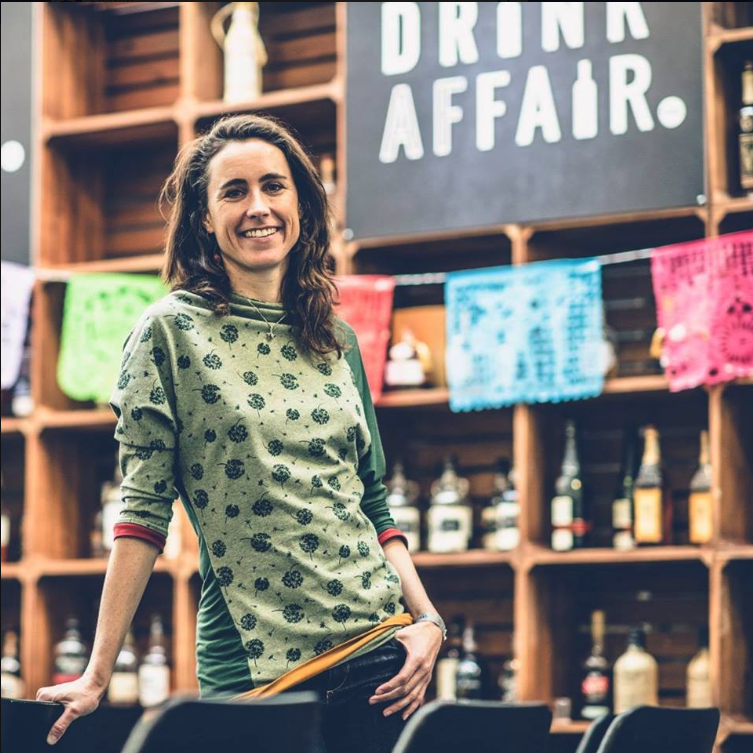 Sophie subsequently took her first job consulting for an agave distillery in South Africa, but made her return to Mexico in 2003, propagating a series her own propriety yeast strands from a local farm. In the following years, Sophie established the export company, IMEX International, and started her own project, Calle 23, in Guadalajara. 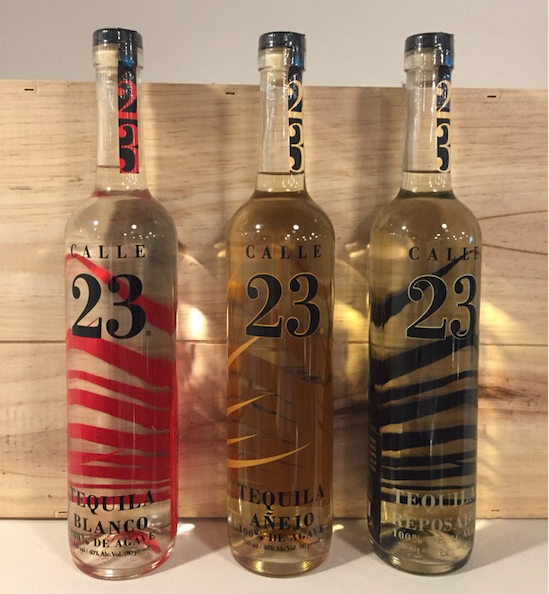 The excellence of Sophie’s tequilas are emblematic of her background in both biochemistry and fermentation - through using different yeast strains, the Calle 23 trilogy demonstrates the various expressions of agave that is unique in tequila production. Sophie’s slogan is “Tequila makes us smarter. So, drink smart,” and we couldn’t choose anything more fit for the job than Calle 23. 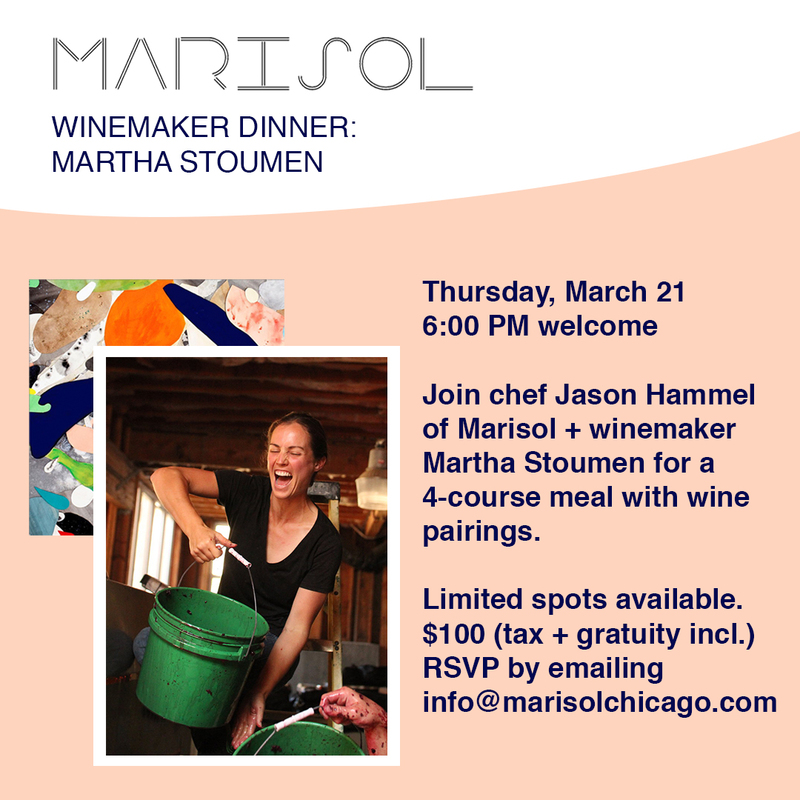 Only 40 spots available for an intimate dinner with winemaker Martha Stoumen and chef Jason Hammel - Stoumen’s small Northern Californian label produces organic, minimal intervention wines. Wine consumers tend to view New World wine regions like South America as newbies to the wine game. While these regions are certainly full of experiential, entrepreneurial winemakers, the history of winemaking in countries like Chile is anything but short. We are fortunate to partner with Brazos Wine Imports, who works with growers committed to artisan, small production, and sustainable winemaking. The roots of Chilean viticulture can be traced back to 1550, when Jesuit Missionaries chose the Secano Interior to grow wheat and vines needed for the bread and wine of the Christian Eucharist. The Secano, which translates to “dry farming,” is an area of large dryland just east of the coastal mountains, reaching from Bío-Bío in the south to the Colchagua Valley in the north. It’s Mediterranean climate makes for excellent vine growing, with hot, dry summers and cooler, extremely wet winters. The Jesuit’s succeeded in their spread of Christianity in Chile, and with it, wine. Viticulture in the country continued over the following centuries with the planting of primarily Criolla varieties - a term referring to Spanish grapes planted in the Americas during colonization, including red País and white Moscatel de Alejandría. 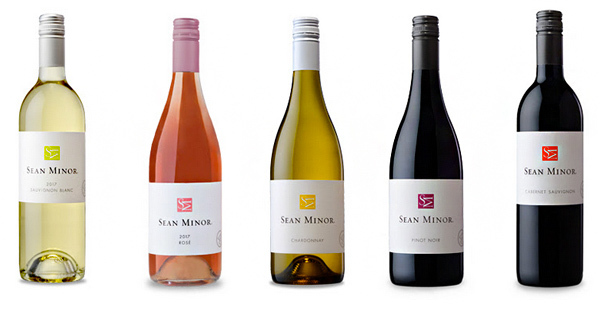 The first French varieties arrived in Chile during the mid 19th century, but it was not until the earthquake of 1939 that European varieties began to make a more significant appearance. 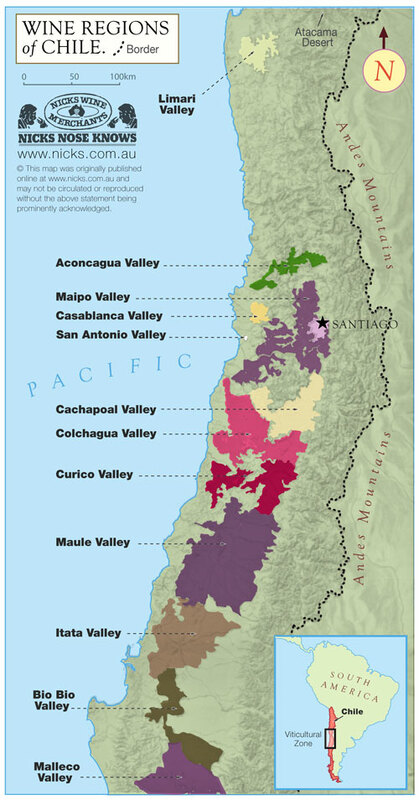 Following the earthquake, wine served as a crucial cash line in the Secano Interior, and growers moved to central Chile and replaced vines with international varieties, including Cabernet Sauvignon, Chardonnay, and even Riesling, that could be sold more easily to large producers - a trend that resulted in the loss of small, artisan winemakers, and along with them, Chile’s old vine Criolla. Despite the influence of the international market on Chilean viticulture, tradition in local winemaking in the Secano Interior lives on. País, low-maintenance in the field but difficult in the cellar, is the perfect grape for low-intervention practices like carbonic maceration. Take Pipeño - light, fresh, and fruit driven, shunned in the era of Bordeaux as the poor man’s wine, but now gaining traction in the global market as Chile’s Beaujolais Nouveau. At Vina Maitia in the Maule Valley, Old World trained Frenchman David Marcel put his Pipeño in beer bottles, emphasizing the wine’s easy drinking nature, with all the bright, fruity notes that the world loves in French glou glou. 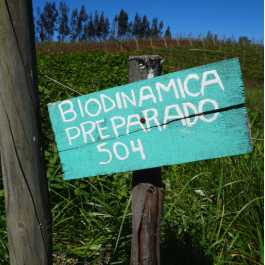 Old World plantings may have put Chile on the map for mainstream wine sales, but it is the centuries-old, dry farmed, often ungrafted Criolla vines and granitic soils in the Secano Interior’s Bío-Bío and Itata that have inspired the next generation of winemakers (and cidermakers!). 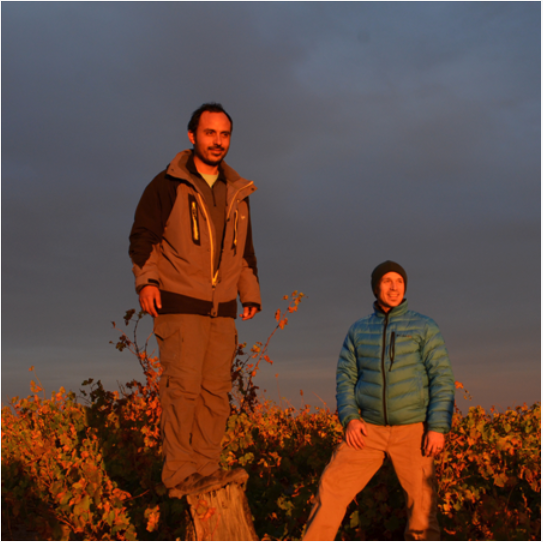 Galvanized by the rich culture and history of the region’s long neglected and rural farming community, winemakers Leonardo Erazo Lynch and Justin Decker chose vineyards in Nipas and Guarlilhue for their winery, Rogue Vine. The soil of this region - granite with a mix of clay and quartz, with vines ranging from 60-300 years old - has proven to be the perfect site for wineries like Rogue Vine’s low intervention, terroir driven winemmaking. 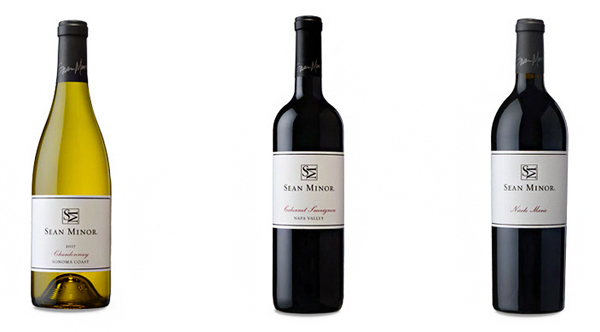 Wine producers around the world are facing the crises of climate change and its disruption in grape growing - the Secano Interior is no exception. In Chile, growers have been facing the immediate environmental repercussions of the country’s mass deforestation. While the timber industry had historically been dominated by northern countries like the United States and Canada, during the second half of the twentieth century, loggers set their sites on Chile’s forests of alerce, a species of large cypress trees. Along with clear cutting these forests came the pressure to plant pine and eucalyptus trees, ripping out old vines for the mass production of timber. Moreover, Chile has been afflicted by devastating wildfires - January of 2017 saw the worst fires in the nation’s history, with hundreds of thousands of acres completely destroyed. 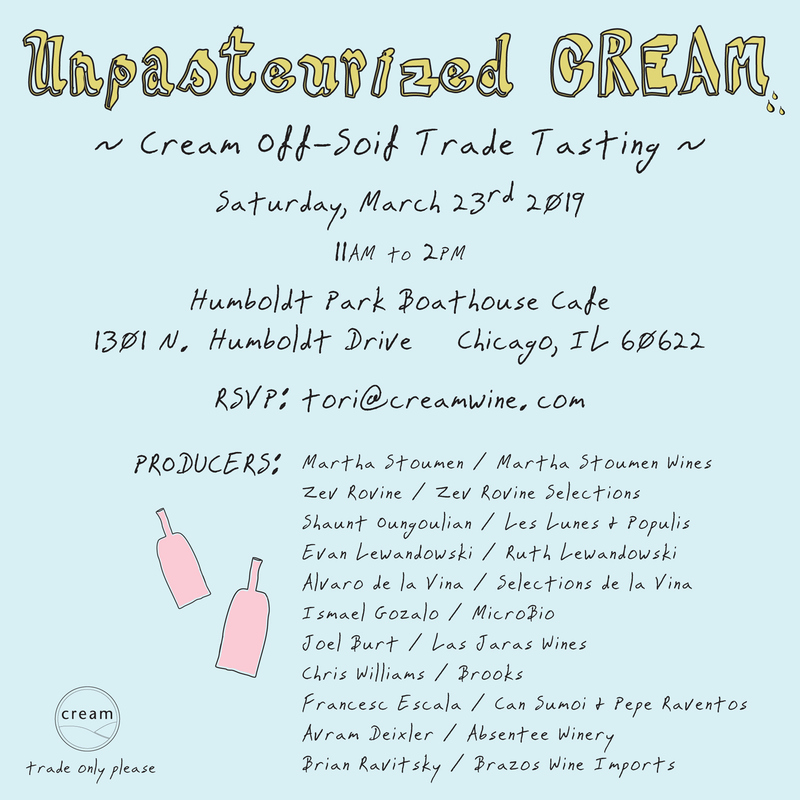 At a ground zero of the climate crises, many Chilean winemakers are at the forefront of instituting progressive, climate-conscious practices. 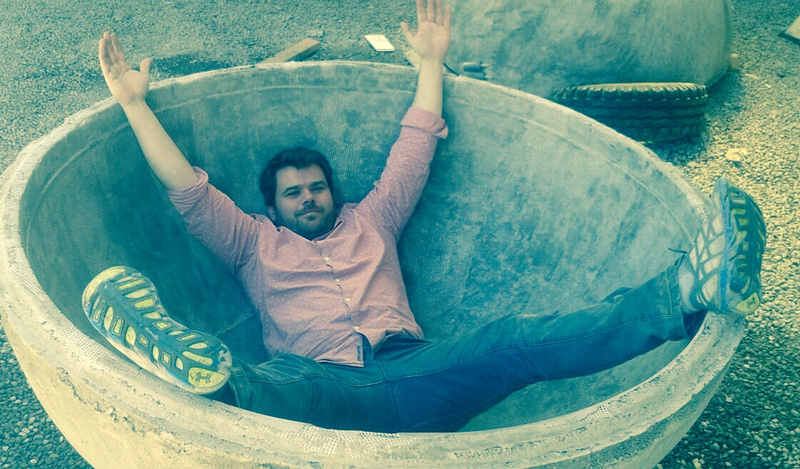 These wine producers, like Clous des Fous and Viña González Bastías, are committed to promoting Chile’s rich history of a long neglected and local farming community, along with investing in the country’s future, though practicing sustainable winemaking techniques. It is a new era of winemaking in Chile, and we are excited to work with Brazos to showcase exemplary, sustainable wines coming from Chile and it’s Secano Interior. Gonzales Bastias 2017 ‘Matorral’ Pais, Maule Valley - coming soon! Rogue Vine ‘Grand Itata’ Blanco, Itata Valley - coming back in May!